How prepared are you? According to studies only 10 percent of Americans are prepared for a natural disaster. More frightening, there are on average 50 natural disaster across the country each year. Whether it’s an earthquake, tornado, or flood you should be prepared. 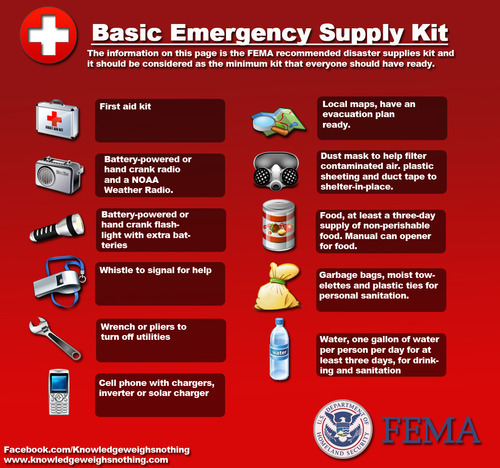 Below is a guide on how to survive in your home during an emergency. This entry was posted in Year Zero Survival Blog and tagged natural disasters, Preparedness, survival by staff-writer. Bookmark the permalink.